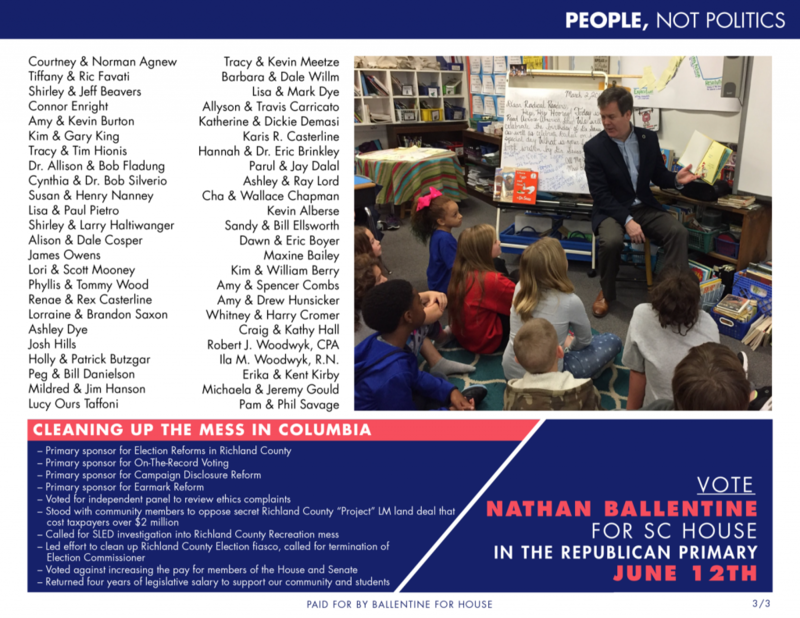 Hours after filing for re-election for the upcoming June 12th primary, our campaign released the names of some of the early supporters who are ready to work to send me back to Columbia. 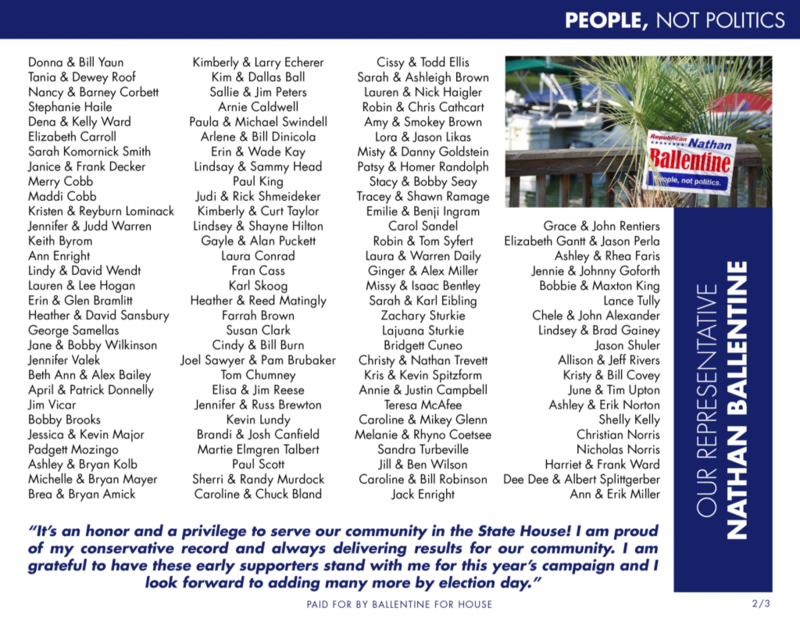 I am humbled and very grateful to see many that have been there from the beginning and also many that came on board in the past several days once we learned there would be a contested race. Unlike some politicians who only communicate during election season, I have been told by many that my constant communication (regular Community Updates, columns in Irmo News/Lake Murray News, email and phone responses, community meetings, school meetings, etc) is very much appreciated. 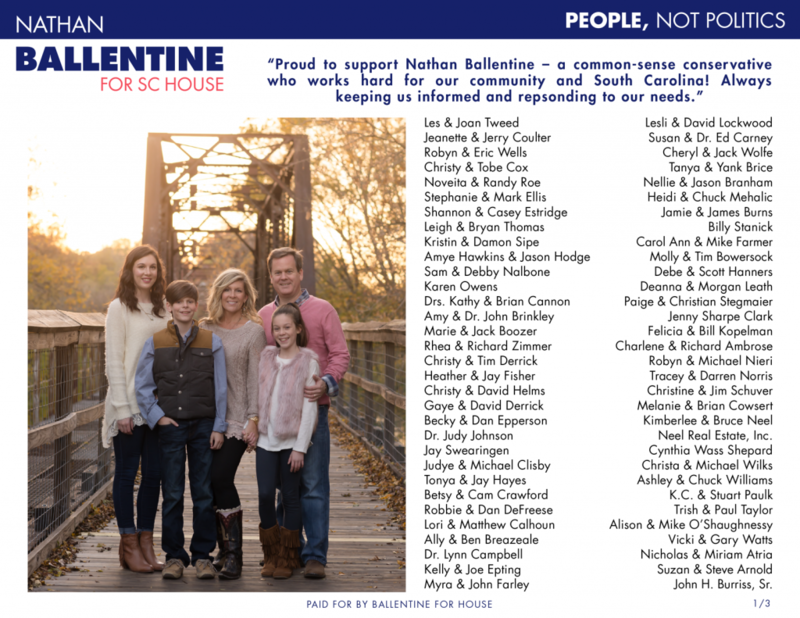 If you would like to be involved in the campaign again this year, please let me know (email: nathanballentine@sc.rr.com) Yard signs will be delivered in the weeks ahead and I always appreciate volunteers joining me during my neighborhood visits. I’m looking forward to the excitement during the weeks ahead! More news to come here at Nathan’s News next month!